Retroreflective vinyl, commonly referred to as reflective vinyl, is not self-luminescent. Its properties aren’t apparent in normal daylight conditions. Its glass or prismatic beads are specifically designed to reflect light back to the source making them visible at night when illuminated with artificial light, such as that from motor vehicle headlights. This reflective property is what makes road signs legible after dark without the cost of electric illumination. Reflective sign vinyl uses a variety of reflective technologies to produce different levels of shine. Two important considerations when choosing a reflective vinyl are how much light will it reflect (measured in candlepower) and how wide of an angle can it be viewed at (referred to as angularity). 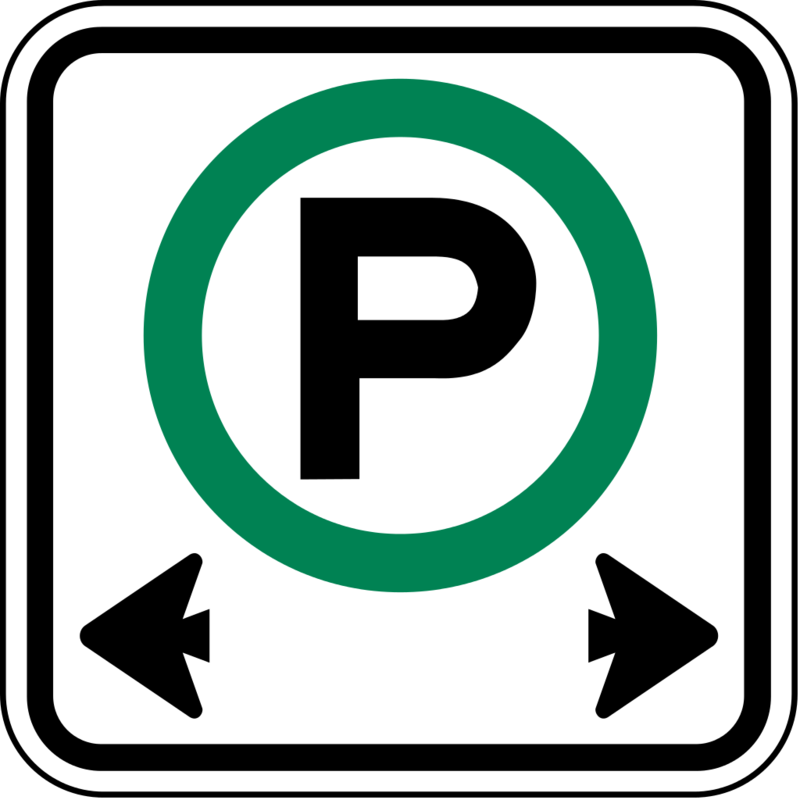 This material is specified for use on non-critical street and road signs, such as parking signs. Engineer grade reflective sheeting is also used often for reflective stickers and decals. Engineer Grade signs reflect at night when light hits the sign. The retro-reflective beaded material has a lifetime of (5/7) years. This material is a non-metallized micro-prismatic lens reflective sheeting that is used mainly for reflective traffic and road signs, barricades or other road construction zone devices. High Intensity sheeting is highly reflective, and its durable topcoat protects signs and other traffic control devices against scratches and abrasion. It is used for more permanent traffic signs, and work zone devices. 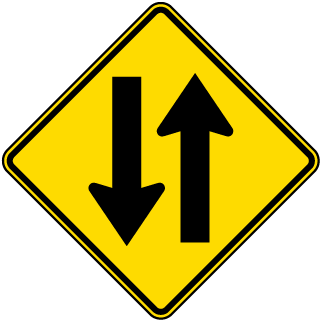 High Intensity signs are used in areas where the street lighting at night might interfere with a sign’s reflection. Diamond Grade is a reflective sheeting that returns almost 60% of the available light to vehicle drivers which is about double what High Intensity reflective sheeting reflects. 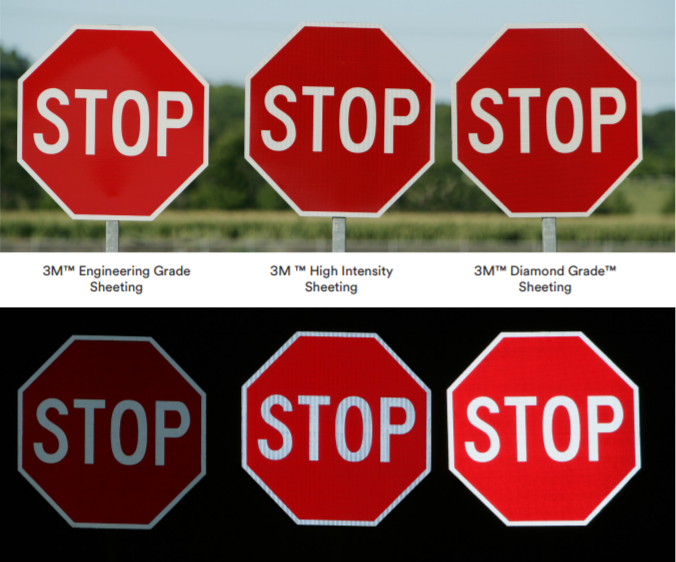 Diamond Grade reflective material is at the highest level of reflectivity for traffic signs and is most commonly used on interstate highways and construction projects- and in areas where high visibility is critical. The following images provide a side-by-side comparison of the three different levels of reflectivity outlined above. For more information on the different grades of reflective vinyl, give us a call, we'd love to help! Big thanks to 3M for the use of their images. 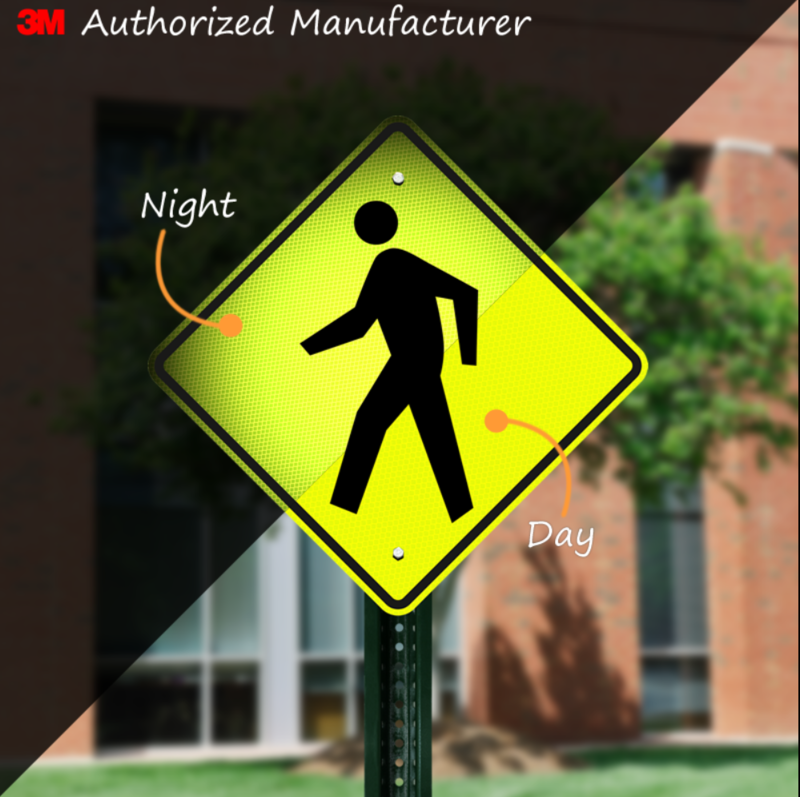 3M has some awesome resources regarding reflectivity and why it's important - give their site some love by clicking here!